Over 200,000 satellite boxes shifted in 2008. "Let's stay in tonight"
The latest data from Freesat shows that sales of the subscription-free satellite service doubled in the run-up to Christmas. Over 200,000 boxes have now been sold. 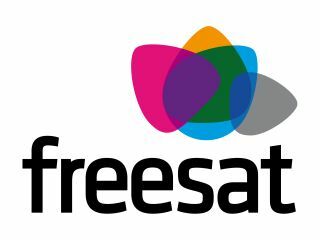 The success of Freesat, which launched in May last year, can be attributed to several factors. As the economic crisis continues to bite, Freesat's free digital TV package is an ideal choice for telly-watchers. Especially in those regions where Freeview coverage is patchy. "We saw consumers increasingly drawn to Freesat at the end of last 2008," says Emma Scott, MD of Freesat. "The quality and choice of channels and services available and the added benefits offered by Freesat+ have really struck a chord." Another big part of Freesat's appeal is the subscription-free 'high-definition' TV from the BBC and ITV. According to Freesat, 61% of Freesat's 'customer panel' specified high definition programming as their primary reason for purchasing the system. The recent addition of DVR boxes under the Freesat+ banner has given the system another weapon in the battle against arch-rival Sky. But it's still early days. "As we approach Freesat's first anniversary in May 2009," adds Emma Scott, "we're in an extremely strong position to build on our early successes. "[Our] key goals in 2009 include increasing our product range and distribution by the quality and choice of channels and services available, and the anticipated launch of IPTV services, like BBC iPlayer onto Freesat later this year."